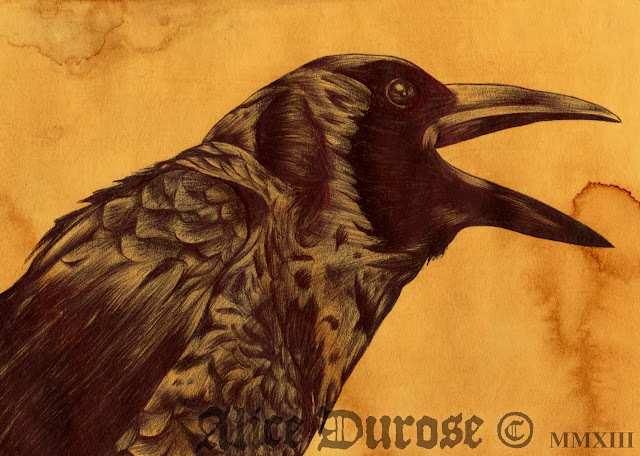 Crows have long been an artistic obsession of mine and are amongst my favourite subjects to draw. I have always felt a certain affinity towards crows. I admire their intelligence, their role in history and folklore and sympathize with their undeserved historical reputation as a bad omen and sign of evil. 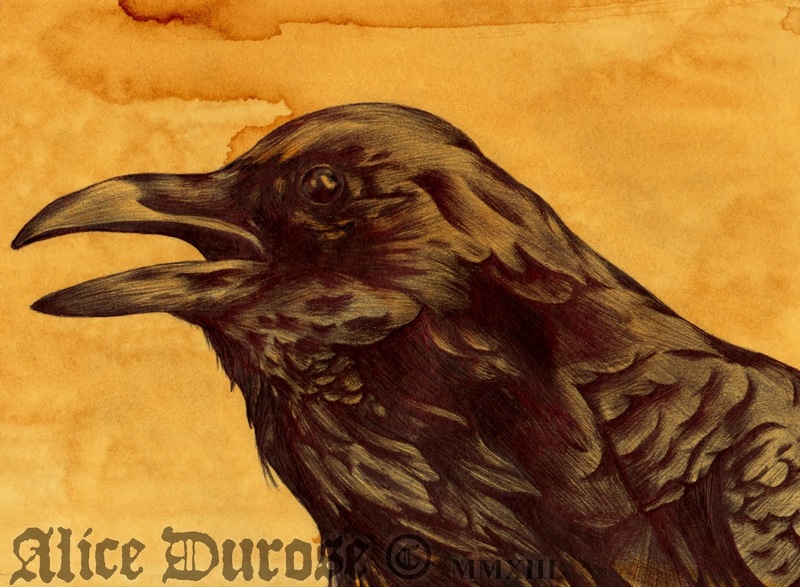 In an attempt to capture the wonderful characters and personalities of my favourite bird I am currently working on a series crow portraits, in which each crow represents a different emotion or character trait. 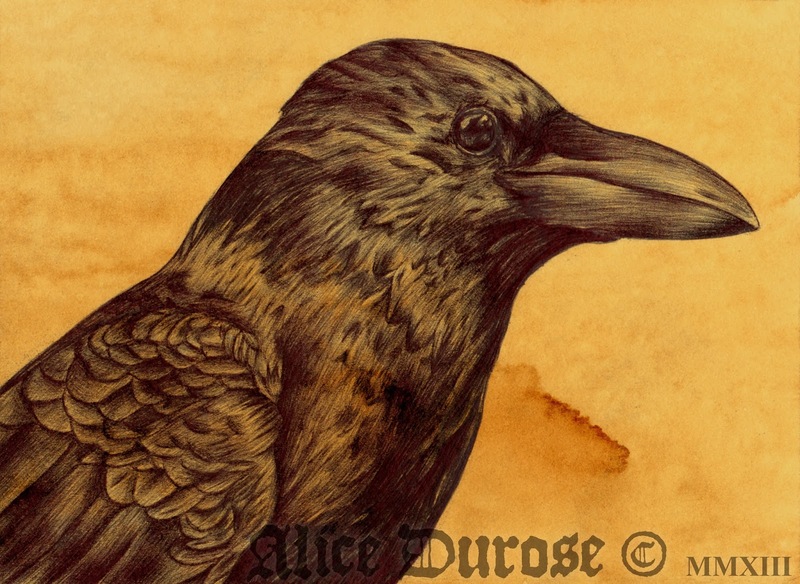 There is something about this bird which I find absolutely delightful, and I never fail to smile whenever I see a crow, and I never tire of drawing these incredibly beautiful creatures.